Do you want to make your drinking water healthier and better tasting? 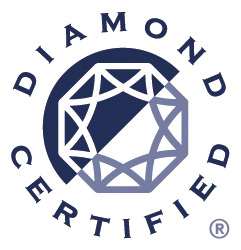 Call us at (408) 283-0600 and get industry leading San Jose water filtration services today! Every home has a number of key components that help if function and provide comfort for your and your family. One of the more critical components is your home’s water filtration system. Having a good water filtration system can ensure that you are getting clean and filtered water that is free of harmful contaminants and chemicals. 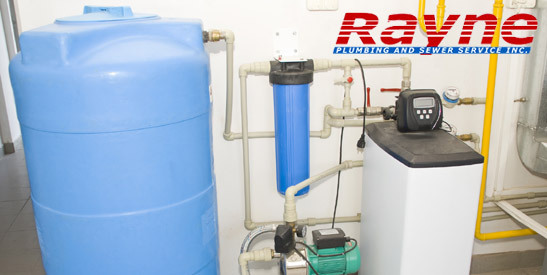 At Rayne Plumbing & Sewer Service, Inc. our experienced professionals have been installing and repairing water filtration systems in hundreds of households throughout the San Jose area. See what our satisfied customers have to say here, and call us today! What are the different kinds of water filtration systems available for your home? Reverse osmosis: A reverse osmosis system is when the flow of water is reversed, allowing the water to pass from a thin membrane, to a concentrated solution, to a diluted one. With this system, the water goes through pre-filtering and post-filtering. The advantages of this system is that it does a very good job at removing any contaminants in the water, including metals like copper and lead. Ultraviolet disinfection: Ultraviolet light can do many things, including filtering your water. This process works by using an ultraviolet lamp to kill the bacteria and other contaminants in the water. The advantage of this system is that it keeps the taste of the water crisp and it does not add any additives to the water. Carbon filter: A carbon filter is a porous filtration system that is made out of carbon. As the water flows through this filter, contaminants are reduced and the water becomes safe to drink. Carbon filters are beneficial because they reduce odor in the water and they are very effective at creating clean tasting water. Water softener: Using a water softener is another method to filtering your water. Water softeners work by adding beads to the water. Harmful minerals like calcium and magnesium are attracted to these beads. As the water filters through the system, the beads remove these contaminants, leaving it safe to drink. The benefit of a water softener is that aside from filtering water very well, water softeners are also useful for removing the minerals that cause buildup in your pipes and appliances. If you are looking to add one of these systems to your home, give our experts a call. We will provide you with our industry leading San Jose water filtration services today! Why should you install one of these systems in your home? Water filtration systems are an essential component of every home. Filtration systems remove harmful and hazardous contaminants that are known to cause illness and disease. They also ensure that water tastes refreshing and that it does not have an unpleasant odor. Lastly, depending on which filtration system you choose, the system can also remove the minerals that can damage your pipes and appliances. If you are in need of water filter repair or are looking to install a water filter in your home, give us a call. At Rayne Plumbing & Sewer Service, Inc. our experienced professionals are able to fulfill all of your plumbing and water filtration needs. We will help you choose a unit that is within your budget, and then install it perfectly to factory standards. We can also provide you with regular support, maintenance, and repairs should the need arise. We always go the extra mile to ensure that our customers are satisfied and comfortable in their homes. Call us today to improve the quality of water in your home. Want to improve the taste and purity of your water? Call (408) 283-0600 and get experienced San Jose water filtration services for your home or property today!